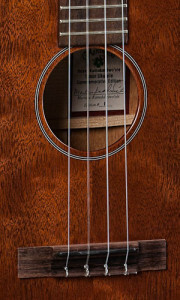 The 1T IZ Tenor ‘Ukulele is a tribute created to honor the late artist. 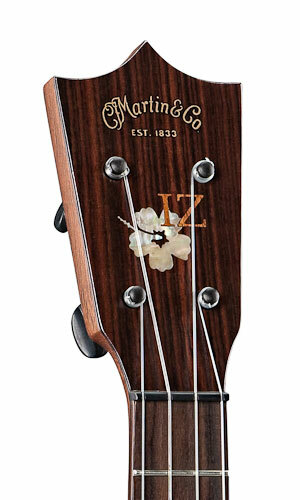 It was created with IZ’s favorite ‘ukulele in mind, keeping the quality and craftsmanship high, great for your ‘ukulele collection. 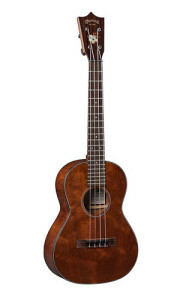 This ‘ukulele features a beautiful quilted mahogany construction, an East Indian rosewood headplate adorned with “IZ” inlaid in Hawaiian koa and a hibiscus flower inlaid in pink awabi pearl. Available wherever Martin guitars are sold, or locally from Easy Music Center on Oahu!